Freedom was formed in the autumn of 1967 by two ex. members of Procol Harum, drummer Bobby Harrison and guitarist Ray Royer. Their spell with Procol had been a short though not exactly a sweet affair. Recruited as last resort choices before entering the studio to record the all time classic single "A Whiter Shade Of Pale", Royer and Harrison were soon told to leave the band because of internal differences. They were replaced by B.J. Wilson and Robin Trower on drums and guitar respectively, both ex. members of band leader Gary Brooker’s previous act, The Paramounts. In 1968-69 bands were often based on a bass-guitar-drums line-up, omitting the keyboard playing a heavy blues rock idiom, such as The Jimi Hendrix Experience, Led Zeppelin and Cream. The last named in particular were a strong influence on Harrison, Saunders and Monaghan. Their management, whom Saunders described as "somewhat dodgy", came up with the rather strange idea of telling the new line-up not to make any live appearances for the first year. "Through all this time we were to work only in the studio, then they wanted to release us to the world!" Saunders recalled. 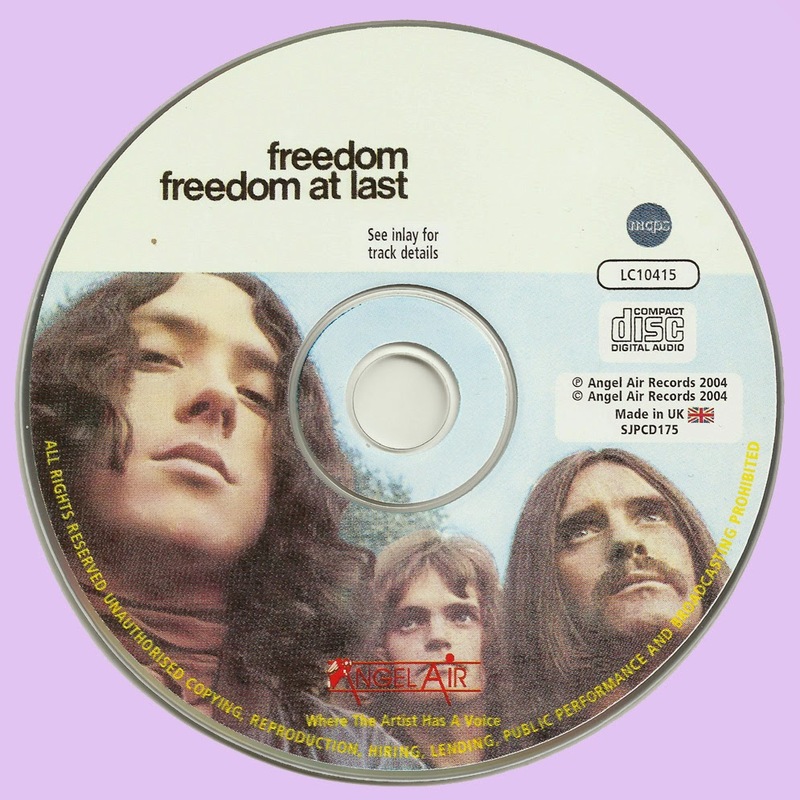 During 1969 the group released their second LP, titled "Freedom At Last". (If they are generally confused in people's memory with the rather more commercially successful group Free, this isn't made any less by the latter band's release of an album in 1972 bearing the exact same title!) This new album still had some leanings backwards in the direction of psychedelia while at the same time it pointed at what lay ahead for the future. Sadly, " Freedom At Last" did only marginally better than "Nerosubianco/Black On White" and for more or less the same reason. It has never been out in the UK at all and only saw release in France (on the BYG label) and Germany (on Metronome). No-one seems to be able to explain exactly what went wrong, other than putting the blame on the management. It must have felt horribly disillusioning to the group at the time to see a full album, which they had sweated a lot of blood over, being so bluntly neglected, particularly for Bobby Harrison who had already experienced the exact same thing with another album which was also a truly fine piece of work. Nevertheless, Freedom soldiered on through 1969 and into 1970. Their new-found heavy blues rock style, which they mastered to a tee, naturally won them a faithful live following, as did their impressive three-part harmony vocal work. Through label associations they got to tour the USA with Black Sabbath and Jethro Tull. They played to huge audiences and with their next albums " Freedom" SJPCD063 and 'Through The Years" SJPCD177 finally succeeded to get releases not only in Britain but in the USA as well. Roger Saunders also landed himself with a solo deal with Warner Records. The recordings of his "Roger Saunders Rush Album" took, ironically enough, a long time and involved an awful lot of production work and arrangements. To the rest of the group this caused both confusion and general bad feelings as their management demanded solo spots up to the length of 20 minutes with Saunders just playing piano and singing on his own. "They had this vision of me being a new Elton John or something. I'd rather have been James Taylor if I'd had the choice." In the midst of everything the management also demanded the group change to another bass player, Pete Dennis. Another attempt to change things around, though not necessarily for the better, came with the inclusion of Steve Jolly on guitar, giving Saunders more of a chance to play keyboards. Around this time the style of the band seemed to go back in the direction of Procol Harum, but some country rock influences could also be detected. Deeply disillusioned and disappointed Freedom finally threw in the towel in 1972. They were primarily a live group, and they had toured extensively throughout their career. Like most fine rock outfits their studio efforts could not match up to the sparkle of their stage appearances, but there appears to be no live recordings of the group and the closest we will ever get to those magic moments back in 1970-72 is the rare and elusive album presented here on this release Bobby Harrison went on to become lead singer in Snafu (whose keyboard player Pete Solley oddly enough later ended up where Bobby had begun - in Procol Harum!) He also released a solo album "Funkist" (SJPCD056) in 1975. In the early eighties he moved his residence to Iceland where he teamed up with local supergroup Mezzoforte with whom he recorded the wonderful "Solid Silver" SJPCD011 album, a strong collection of R&B classics displaying his immense abilities as a singer. Never quite at the forefront of commercial success - apart from those few elusive weeks back in 1967, perhaps – Bobby Harrison has nevertheless enjoyed a remarkable and varied musical career stretching over five decades. Today, he is as active as ever and his singing voice has never been stronger. 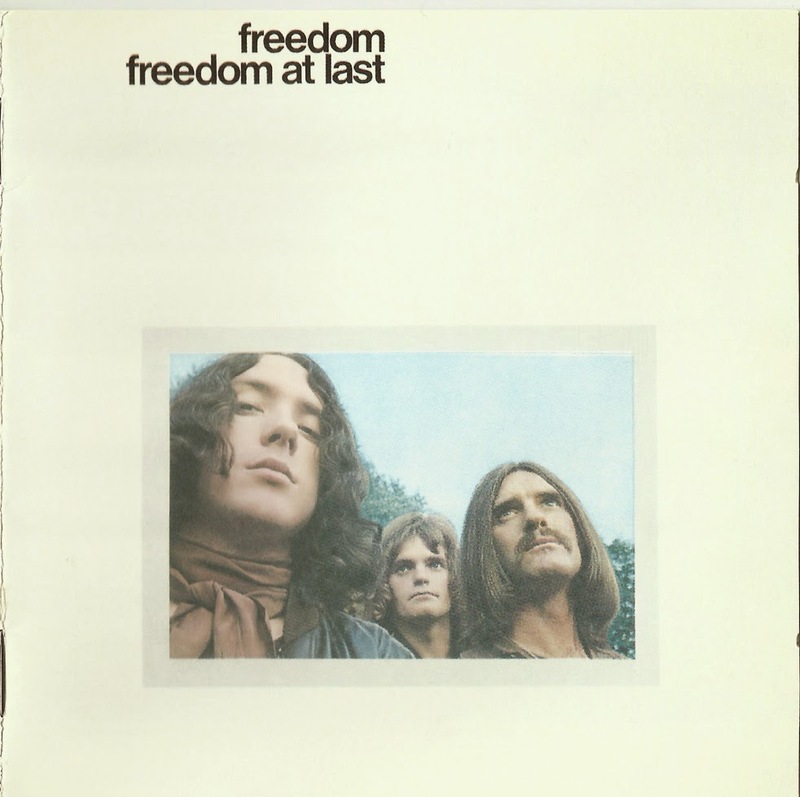 Freedom never quite made it to the first division of British rock. Not because of lack of ability, just sheer lack of luck. What were left with is perhaps more a case of "what might have been" than what actually was, at least in a commercial sense. Then again - who cares when the music's playing! Thank you very much for this friend. Thanks Marios, My Freedom collection Is now complete with this one.